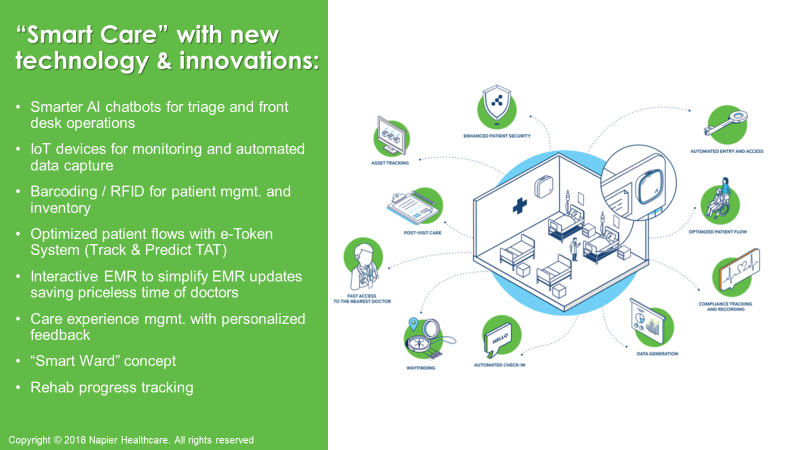 E-Token system that is available in the application automatically tracks TAT (Turn around times) and wait times at every single point of care – For example in the Lab department, all activities from sample collection times, report creation to delivery are tracked for planned vs. actual delivery times. E-Token system also provides options to notify patients of delays, updates related to their lab. This capability provides automated KPI management dashboards of all departments while improving transparency in patient care. Progress tracking is an innovation in the EMR that enables clinicians to take pictures, videos of patient wound, movements etc. during consultations / visits and enables clinicians to compare them side-by-side. Future releases will include analysis of images/videos to identify changes. 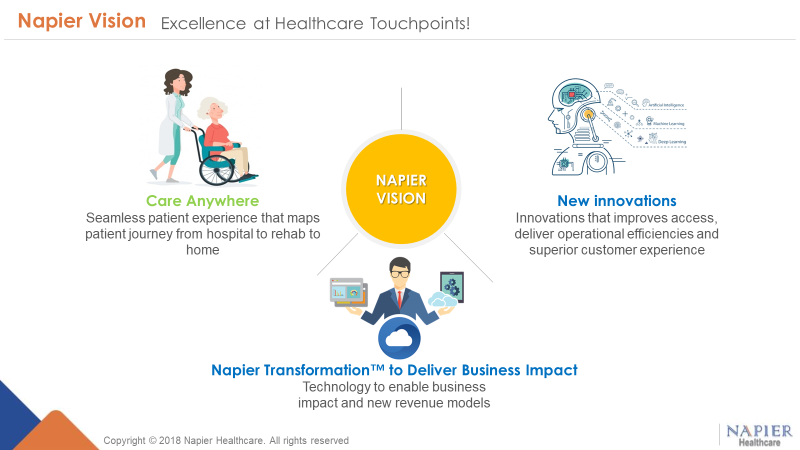 Napier transformation™ is a methodology and set of tools that enables organizations to realize business goals and value through technology implementation. This methodology helps understand process bottlenecks, suggest improvements as well as come up with right approaches and strategies to solve key technology, integration, operational and business problems. Predictive analytics tools for revenue/cost forecasts, inventory alignment against demand etc. result in better predictability of revenue, costs and material management. 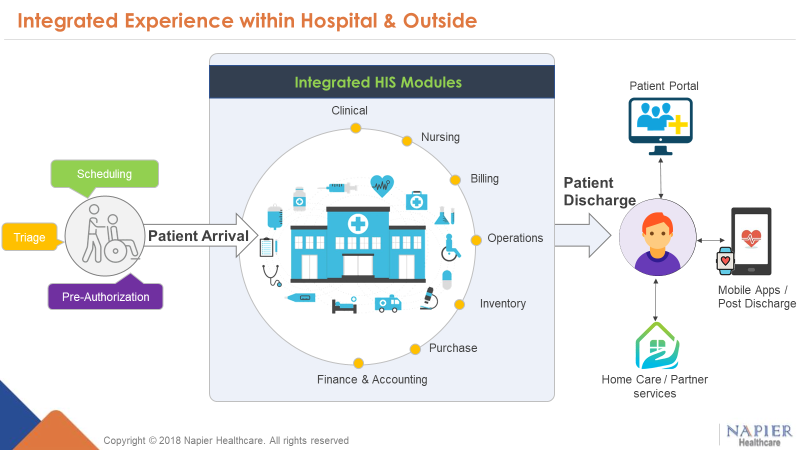 Napier’s approach with Care Anywhere, New Technology Innovations and Organizational Impact will ensure that organization will achieve the vision of SMART hospital with a future-proof solution.